These flats from Nacozari are polished and ready to be wire wrapped. With very little effort, they can also be drilled and/or shaped to create pendants, earrings, or cut into fine cabochons. 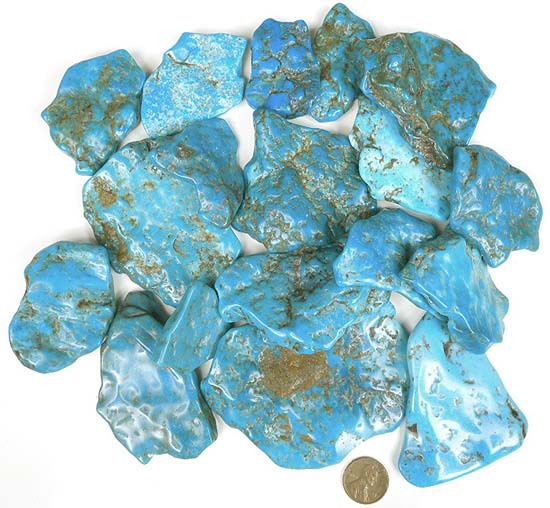 Turquoise is no longer being produced at the Nacozari Mine and we consider ourselves very lucky to have been able to get this fine blue material from an old collection. Quantity pricing for bulk lots!! !